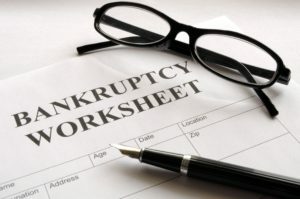 The first time you meet with a bankruptcy lawyer, he or she is bound to mention that you are required to list all the things you own in your bankruptcy papers — even things you want to keep out of the bankruptcy. You might wonder why this is so important. After all, some property is exempt, and some things are no one else’s business, right? How could it hurt to leave some things off the bankruptcy petition? The most important reason to list everything you own is that the bankruptcy law states that if you intentionally omit an item from the bankruptcy papers, that means you cannot keep it. Think about that for a minute — someone who desperately wants to keep, say, his classic Model T Ford, and who misguidedly omits it from his bankruptcy papers, will lose the Model T once the trustee of the case discovers the car’s existence. This would be especially unfortunate because if the Model T had only been listed, the debtor’s attorney almost certainly could have claimed it exempt, meaning it would not have been lost to the trustee. Listing an item in the papers almost always gives the debtor a good chance the item can be claimed exempt, especially in Minnesota, where the exemption laws are very generous. Another good reason to list everything you own is that it is a bankruptcy crime to intentionally leave any property or other items off your bankruptcy papers. Why risk being charged with a federal crime when telling the truth about your assets is usually completely painless? Finally, the bankruptcy law states that intentionally leaving property or other items off your bankruptcy papers constitutes grounds for being denied a discharge of debts in the bankruptcy. In other words, concealing assets is capital punishment for your bankruptcy case — not for you personally, but for your hopes of discharging your debts, which was your whole reason for filing bankruptcy in the first place. If you want to make sure you can keep all the things you own in your bankruptcy case, the first step is to tell your lawyer about everything you own. Then, make sure you list all your property and possessions in the papers. A good bankruptcy lawyer can usually help you protect everything you own, simply by listing the things you own and claiming them as exempt.